Windows 10 has a dark side. 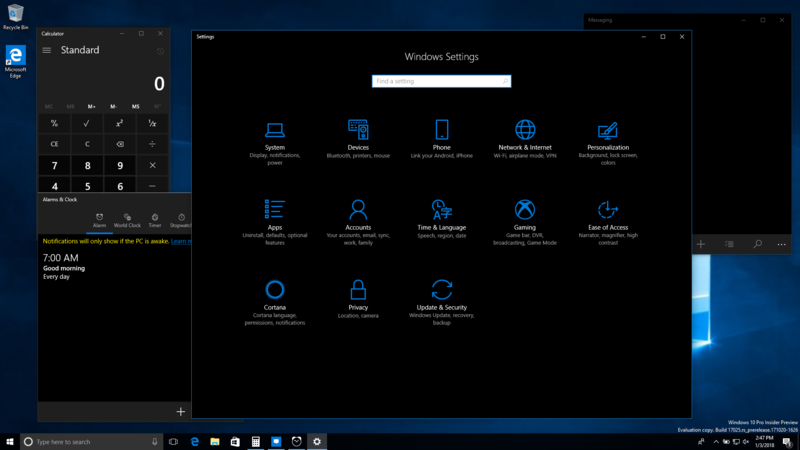 Well, a darker theme for the Windows Apps. I prefer the darker theme myself, as I don’t like things so blindingly bright. 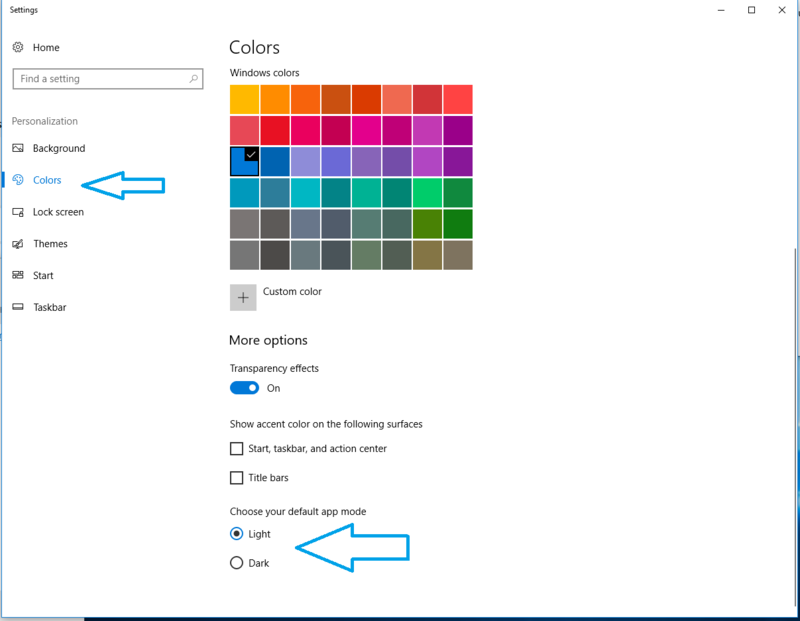 To switch from the light to the dark theme, you can follow these instructions. 1. 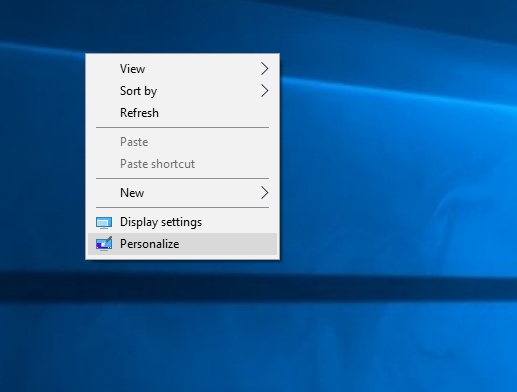 Right click the Desktop and select Personalize. 2. In the left pane, select Colors. Then scroll down the right pane until you see “Choose your default app mode”. There, you can select Dark (or Light if you’re already changed it). 3. The change should be immediately apparent and you can click the X to close the window. 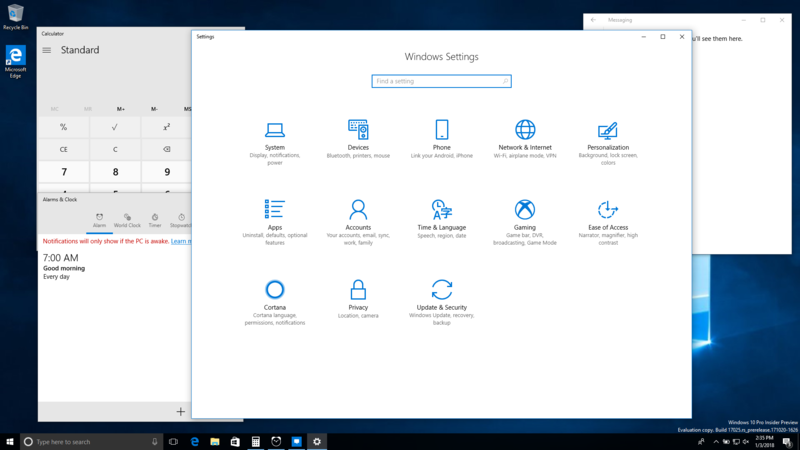 The changes apply to Windows 10 Apps, including Calculator, Settings, Messaging, and others.